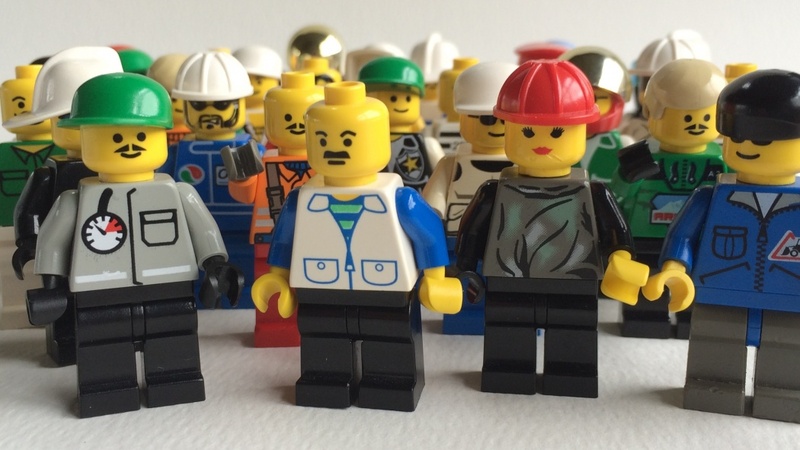 At Vitsœ we always have an eye open for like-minded, passionate, affable people who might want to work here – where many of us can boast of a childhood fascination with Lego. Does this sound familiar? The current vacancies are beneath this section. Intentionally. In a world where short-term gain, cutting corners, insincerity and depersonalisation have become the norms, we try to build long-term relationships with our customers, suppliers and employees by treating them respectfully, and by demonstrating that we are clearly committed to you/them for the long term. We will not accept short-term gain at the expense of long-term loss. If you have ever dealt with us, you will hopefully have discovered that we attach as much importance to the integrity of the people who pack your boxes, drive our vans and install your shelves as we do to those who answer the telephones, plan your shelving systems or pay the bills (on time). Vitsœ is an international and multi-cultural business with customers, suppliers, employees and locations across the globe. Diversity breeds creativity and, in an environment where employees are encouraged to think for themselves, the better and richer solutions come from the breadth of Vitsœ’s employees. Vitsœ is an employer with a diverse workforce that provides equal opportunities for everyone regardless of their gender, religion or belief, ethnic, cultural or national origins, disability, sexual orientation, marital status, education or age. We are always delighted to receive interesting CVs so please email yours if you would like to consider joining us. However, be sure to tell us, in writing, why you think that working at Vitsœ might make a difference to both your life and to Vitsœ. We need to know that you want to work with us, not that you just want a job. Oh, and think twice before sending a CV that lists your interests as “going to cinema, meeting friends”. Is that really all there is to you? You should be aware that we will want to talk to you on the telephone before we meet you, and that we might ask you to prepare a short presentation on an obscure topic for your interview or to bring something you have made with you. If you are successful at interview, we will ask you to spend a trial day with us when you will have the opportunity to discover much more about us. And finally, once you start working with us, there will be an agreed trial period during which both you and we can assess if the chemistry really works. If any of the above is not to your liking, then it is best if you do not contact us in the first place. We do not wish to waste your time. 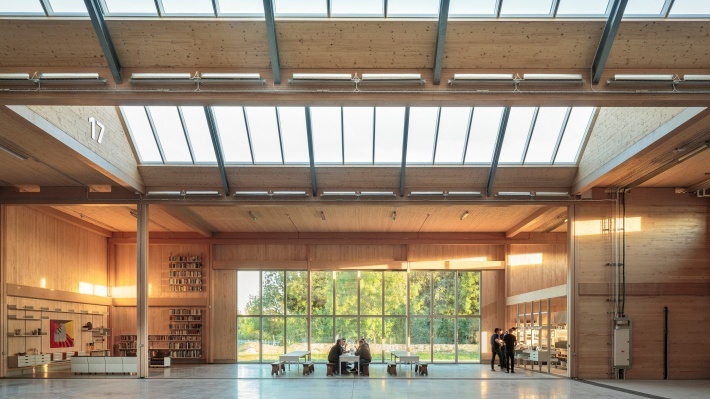 Opened in 2017 our HQ and production building in Royal Leamington Spa is a naturally-lit timber building, a short walk or cycle from the centre of town and the well-connected railway station. The building houses a variety of activities including furniture assembly and dispatch, customer visits, office work, museum curation and software development – plus overnight accommodation for visiting Vitsœ employees. It is a community in which we all work closely together, sharing meals provided by our in-house chef. To lovingly maintain Vitsœ’s new 40,000 sq-ft building with an eye for detail and a great sense of pride. In addition, to deliver and install Vitsœ’s furniture at customers’ premises while upholding Vitsœ’s renowned reputation for exceptional customer service. To advise local and global customers on the use of Vitsœ’s furniture, helping them to plan solutions for their needs while convincing them of the long-term benefits of buying less that is of a better quality. Not only should customers be delighted by being able to bring some order to their lives but, ideally, they should become ambassadors for Vitsœ, spreading the word. Perform the admin processes to support our supply-chain team and ensure a smooth running of the business operations. To prepare, assemble and pack orders, deliver and install them ensuring that Vitsœ’s customers receive the high-quality product and service expected of this quietly-successful British manufacturing and retail business. The role is one of the most important at Vitsœ: how well it is performed will delight or despair a customer who is eagerly anticipating the arrival of their order. Once you have done your homework, please email your covering letter and your CV to people@vitsoe.com. For your application to be considered, you must include the job title in the subject line of your email. But please remember to explain why working at Vitsœ might make a difference to both your life and ours. We need to know that you want to work with us, not that you just want a job. 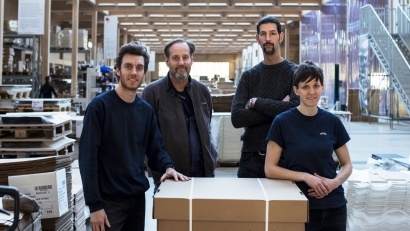 Meet the workshop team that keeps Vitsœ’s heart beating.